Dr Saunderson consults in person 2 days monthly. Dr Saunderson is a fellow of the Australasian College of Dermatology. She is interested in complex dermatological cases, medical dermatology and paediatric dermatology, and believes in an holistic approach to patient care. She is passionate about rural dermatology. Dr. Stoita is an orthopaedic surgeon at Goulburn Base Hospital, Macquarie University Hospital and Hurstville Private Hospital in Sydney. Dr. Stoita has an exclusive subspecialty practice in hip and knee surgery. He has significant experience and expertise in primary and revision hip and knee replacement, complex joint replacement surgery, gluteal tendon reconstruction, knee sports injuries such as ACL reconstruction, meniscal surgery, patellofemoral reconstruction and realignment..
Dr. Soodin, our visiting Ear Nose and Throat (ENT) Surgeon, has a practice located in Campbelltown. His subspecialty interest is Rhinology, Endoscopic sinus surgery and also General ENT both in paediatric patients and adults.He currently consults once a month and will be visiting fortnightly in the medium term. Dr Soodin operates at Campbelltown Private Hospital. Dr Borire’s scope of pracitce covers general neurology consults as well as neurophysiological procedures such as nerve conduction studies, needle electromyography, electroencephalography and injection for migraines. Dr Borire is a Conjoint Lecturer in medicine at UNSW and is involved with undergraduate and postgraduate teaching. He has published numerous scientific articles and presents regularly at local and international conferences in the field of Neuromuscular and Electrodiagnostic Medicine. Dr Borire holds a public post at Liverpool Hospital. Dr. Ali is a respiratory and sleep physician who has been consulting for the last eight years in the region. He is based in Bowral and visits fortnightly. Dr Ali admits at Bowral Base Hospital and Southern Highlands Private Hospital. Dr Yu-Tang Shen is a psychiatrist who practices in Sydney and holds a position as a Staff Specialist at the St Vincent’s Hospital and at the Prince of Wales Hospital. He has a special interest in Old Age Psychiatry and has done advanced training in this area. He also has undertaken a Neuropsychiatry term at the Prince of Wales Hospital. Another area of interest is in psychological interventions, and he has undertaken further training in psychodynamic therapy, cognitive-behaviour therapy (CBT), Interpersonal Therapy (IPT) and Eye Movement Desensitization and Reprocessing (EMDR). He is able to provide assistance with Psychiatric assessment - for mood, anxiety, psychosis, cognitive symptoms, PTSD and grief/loss as well as Treatment recommendations including medications and psychological interventions. Dr Oliver Gibbs is a Cardiologist (Heart Specialist) whose interests include the investigation and treatment of chest pain, palpitations, shortness of breath, heart failure, atrial fibrillation, arrhythmias, high cholesterol and high blood pressure. He has completed extensive medical and cardiology training in Sydney and is actively involved in research and teaching medical students, junior doctors and cardiologists-in-training. Dr Gibbs provides a comprehensive Cardiology service in Goulburn including ECG, echocardiography, holter monitoring, ambulatory blood pressure monitoring, exercise stress testing and stress echo. He consults as a Cardiologist in Goulburn two days per month. Dr Gibbs takes pride in providing his patients with individualised, comprehensive and up-to-date care including the latest diagnostic and therapeutic evidence based treatments. Professor Quin has over 30 years experience as an immunologist and allergist. He can assist and treat patients with: skin diseases such as atopic dermatitis, urticaria (hives) and psoriasis; allergies such as rhinitis, asthma and drug allergies; auto-immune diseases such as vasculitis and co-systemic lupus erythematosus and immunodeficiencies such as paediatric immunodeficiencies and immunoglobulin deficiency eg. CVID. Dr Ooi is a Consultant Gastroenterologist. Her interests include investigation and care of abdominal pain, irritable bowel syndrome, chronic diarrhoea, severe constipation, faecal incontinence, inflammatory bowel disease, nutrition, hepatology and hepatobiliary/pancreatic cancer diagnosis. Dr Ooi is an accredited diagnostic and therapeutic endoscopy, colonoscopy, endoscopic ultrasound (EUS) and endoscopic retrograde cholangiopancreatograpy (ERCP) with the Conjoint Committee. She has visiting rights at Campbelltown Private Hospital where she charges zero gap for colonoscopies and gastroscopies. 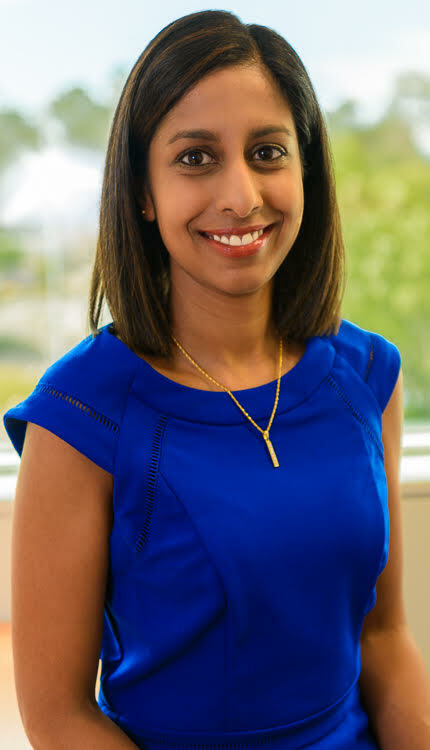 Dr Shamani Mendis is a staff specialist endocrinologist at Campbelltown Hospital working primarily in the South Western Sydney Diabetes Program alongside general practitioners. She also works at Complete Health Australia in Rouse Hill and in private rooms in Liverpool. Shamani is published in the area of Osteoporosis and has been actively involved in teaching and clinical research. She is an Honorary Associate at the University of Sydney. Dr Mendis’s practice includes all aspects of diabetes and general endocrinology. She has a special interest in the monitoring and management of diabetes, thyroid disease and osteoporosis in view of preventing their long-term complications. She also has an interest in endocrine disorders in pregnancy. Dr Manzoor is an endocrinologist with a special interest in gestational diabetes and pituitary disease, as well as general diabetes, thyroid and other common endocrinology conditions. She recently completed a fellowship in the Garvan Institute focusing on pituitary conditions. Dr Manzoor will be seeing Dr McMahon's follow up patients while she is on maternity leave. She visits on Thursdays. She currently works part time at The Bowral and District Hospital seeing acute inpatients as well as general paediatric outpatients. She cares for infants and their families through her role as a VMO with Karitane at The Camden Hospital. She is directly involved with the teaching of the medical students of Wollongong University. constipation and asthma to behavioural and developmental conditions including Autism Spectrum Disorder. She is also able to sign off on NDIS reports. With two small children herself, a recent area of interest is assisting parents in managing the common sleep and feeding issues encountered in the early newborn period..
Dr Catherine Jonas is a Consultant Paediatrician and a Paediatric Sleep Physician. In addition to general childhood medical conditions, she has special interest in obstructive sleep apnoea, insomnia, and various non-respiratory sleep disorders. David is an obstetrician and gynaecologist who completed a masters degree in reproductive medicine in 2011 from the University of NSW and has incorporated fertility work into his practice. As well as general obstetrics and gynaecology, his areas of expertise are infertility including IVF and keyhole (Laparoscopic) surgery for hysterectomy. 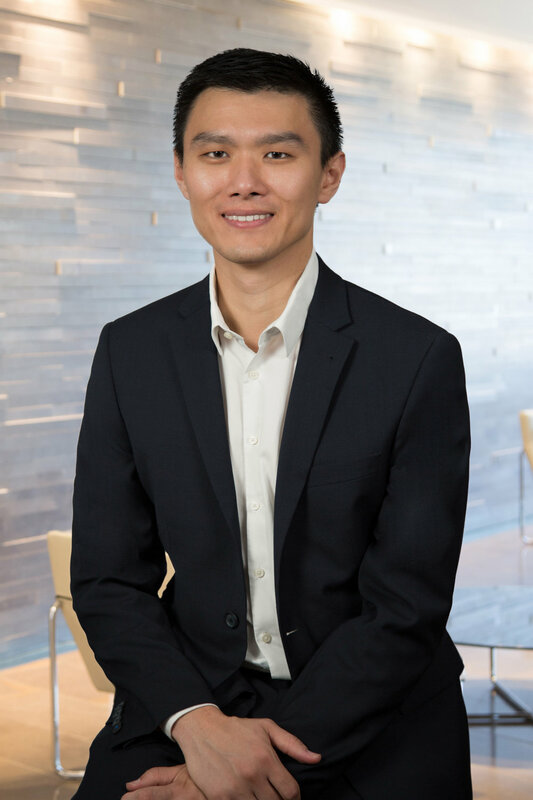 Dr. Tay is a rheumatologist who treats arthritis, shoulder and back pain as well as autoimmune conditions, such as scleroderma, lupus and vasculitis. He performs joint aspirations and injections. Dr. Tay is a member of the International Scleroderma Clinical Trials Consortium Damage Index Working Group. Dr. Tay consults fortnightly. Dr Sim Hom Tam is a specialist in Obstetrics, Gynaecology and Infertility. Dr Tam has special interest in minimally invasive laparoscopic surgery, high risk obstetrics and infertility procedures. He has admitting rights and operates in both private and public hospitals in Canberra and regional NSW. Dr Richard Savdie has recently been appointed the visiting Urologist at Goulburn Base Hospital. He thus has operating rights at Goulburn Base as well as practices out of St Vincent’s in Sydney. Dr Savdie carries out a vasectomy clinic every month at the health hub. Dr Savdie performs Robotic, Laparoscopic and Complex Open Surgery for Bladder, Kidney, Prostate and Testis Cancer. Dr Qadri is nephrologist and kidney specialist. He treats patients with kidney diseases, kidney failure, high blood pressure, Kidney stones and patients with kidney transplant. Currently, he is a visiting medical officer at the Goulburn Base Hospital and will be consulting on Tuesdays. Dr. Alister Ramachandran is an internationally trained specialist in Anaesthesia and Pain Medicine completing dual specialization in India, UK & Ireland, New Zealand and Australia.Dr. Ramachandran has a special interest in the Interventional Pain Medicine and has completed the World Institute of Pain certification (FIPP); which is the highest level of accreditation in this field. Dr. Choudhry is a geriatrician based out of the Health Hub. He offers nursing home and home visits to frail patients. His special interests include comprehensive geriatric assessments, polypharmacy, memory impariment and falls assessment. Dr. Choudhry bulk-bills all his patients. He practices in public and private settings in Canberra Hospital. Dr. Gawarikar has a sub speciality interest in stroke. He has established and is currently director of the acute stroke service at Calvary hospital in Canberra. His clinical interests are in acute stroke especially advanced multi-modal imaging and thrombolysis and also in systems engineering to deliver organized stroke care. Dr Howard established Endocrine Clinics and Sydney Insulin Pump Clinic Providing access to a range of highly qualified specialists in clinical medicine, endocrine surgery, diabetes psychology and education. She has practiced as an Endocrinologist for 12 years and consults with her Goulburn patients via telehealth only. Dr Morris has dual accreditation as an Endocrinologist and General Physician. He has extensive clinical experience and was formerly Director of Endocrinology at Peninsula Health, Victoria. As well as all aspects of Endocrinology, he enjoys complex diagnostic challenges and the rationalisation of conflicting pharmacological intervention. He consults with his Goulburn patients via telehealth only. CardioFirst offers a range of cardiac tests using the state-of-the art diagnostic equipment. and 6 years of professional experience to give patients the best knowledge and evidence-based practices to promote their current and long-term health. Isabel treats Type 1 and 2 Diabetes as well as Gestational Diabetes and assists patients looking to prevent diabetes. She also participates in insulin pump starts and upgrades. A national network of healthcare hearing clinics, they ensure the very best treatment and care for people dealing with hearing problems. Their team of audiologists and hearing specialists are focused on improving your lifestyle by improving hearing. · The Sleep Clinic – visit weekly. Sleep study and consult is bulk-billed. Service fees is $90 ($70 for pensioners). Under the direction of a specialist respiratory and sleep physician, the St. Jude Sleep Disorder Clinic pride themselves in their expert knowledge of sleep disorders. They deliver comprehensive sleep diagnostic and treatment services. Whether you require diagnostic tests or treatment for a disorder such as sleep apnoea, the team can help. • The Lung Lab (formal laboratory based diagnostic services for respiratory related diseases) Testing will be conducted by our respiratory scientist Jane Fusi every Tuesday of the week. The test will include formal diagnosis of asthma, COPD, gas exchange, lung volumes and respiratory muscle strength testing for musculoskeletal and neurological diseases. The test will be $20. The lab offers formal laboratory based diagnostic services for respiratory related disease. The test will include formal diagnosis of asthma, COPD, gas exchange, lung volumes and respiratory muscle strength testing for musculoskeletal and neurological diseases. Testing is conducted by respiratory scientist Jane Fusi fortnightly on Tuesdays. Dr. Ninio has over 20 years experience in skin cancer medicine and surgery. She can assist with thorough skin checks and perform all procedures required.